4,8,and 16 oz. 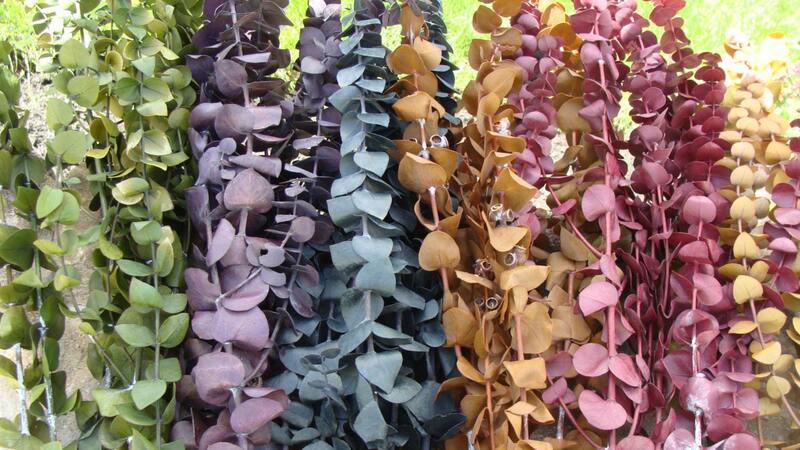 of premium grade washed, dyed and preserved eucalyptus in seven great colors. 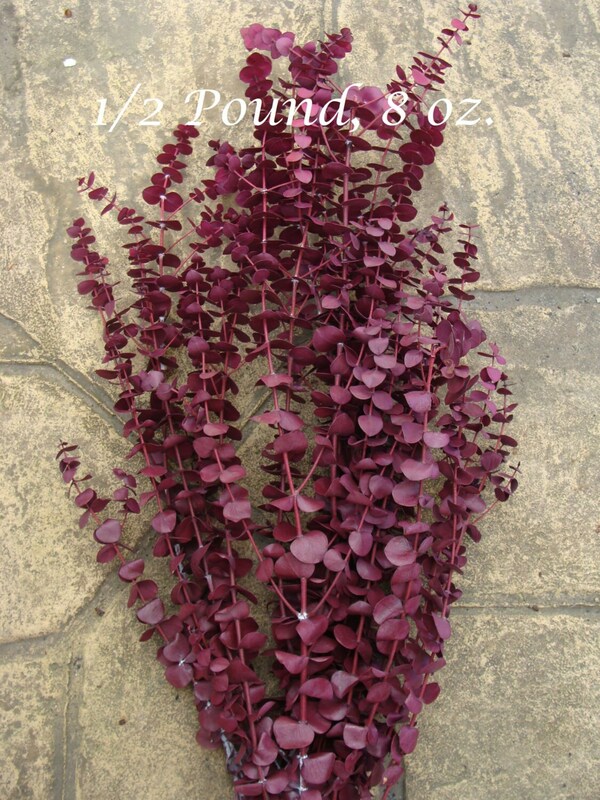 I order my eucalyptus in small batches from an experienced U.S. dried floral farm so my customers receive premium quality, soft, vibrant dried floral product. Each bunch is preserved and dyed using a 4 week process and then washed to reveal beautiful colors. **Lengths of 24 inches are available in 1/2 and 1 lb. bunches. Sizes 1/4 lb. (4 oz). will be shipping at 20 inches in length. Available in 7 gorgeous colors to match any décor. Mix and match several bunches to create you own unique color design. 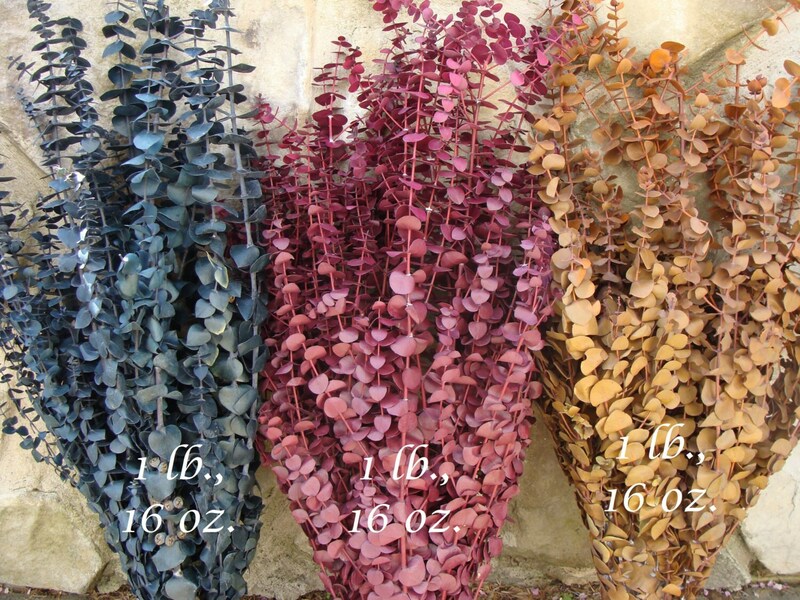 Preserved eucalyptus retains its color and durability for 5-10 years making it an ideal dried floral decorating product. Use an entire bunch or mix colors in a tall vase arrangement. 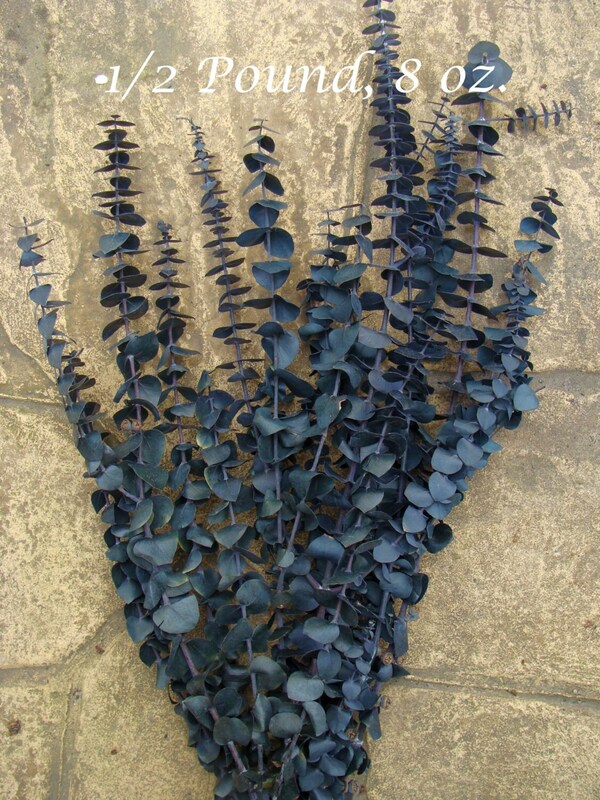 Create your own eucalyptus wreath or use in an dried floral wreath, swag, wall vase or door bucket. 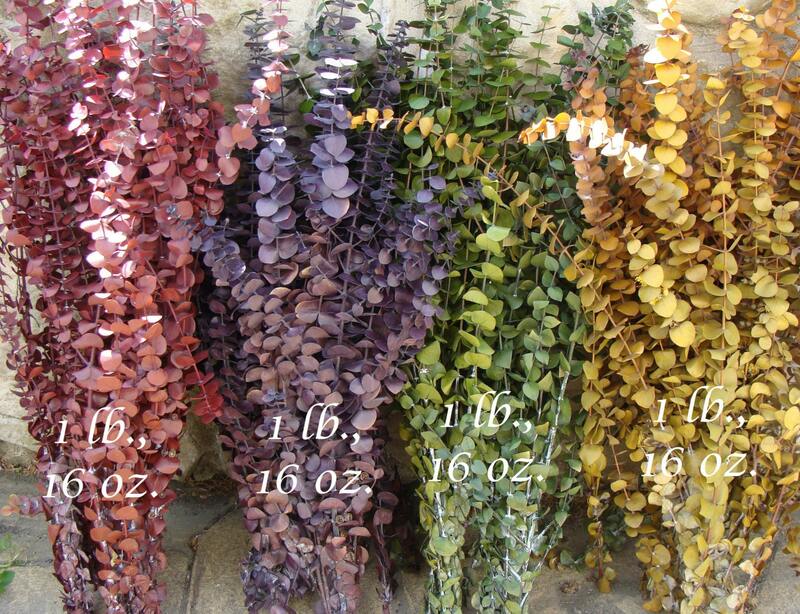 **If you order eucalyptus bunches with a wreath larger then 20 inches your shipping will be refunded. If you order eucalyptus bunches with wreaths 20 inches and smaller the cost is $2 to accommodate a larger box and additional weight. ***Please note that we recommend that you use this product indoors unless you live in a non-humid climate. While my vendor always gives me their best and brightest product, the colors can vary throughout this year since this is a natural product. If you would like a photo of current bunches or to purchase a sample please contact me. All sales are final on dried floral products. Pictures are taken outdoors so colors will appear darker indoors. If you would like pictures of my current bunches please convo me. Super fast shipping and lovely item. Thank you. beautiful batch. Thank you so much. I don’t have a photo, but these are exactly what I was looking for!! They smell and look so good!! Thank y’all so much!! Beautiful blue saturated color. Shipped promptly and securely. Would recommend this color from this shop. They have a terrific scent that permeates throughout were located in home. Love it!